The San Diego Legion will play their Inaugural Season at Torero Stadium. But first we have to talk about the coaching staff as it was announced today. When you look at the staff, the first thing that jumps out to as a Rugby Person is both the breadth of experience and the relative youth of the staff. Which, is an extremely important piece for a start up franchise. The ability to retain a staff over the long haul will be extremely important. Rob Hoadley has been appointed as the Head Coach for the San Diego Legion. Rob University of Surrey from 2001 to 2004.. He would go on to achieve a long playing career with both the London Irish and Wasps. In 2007 while still at Wasps he began coaching defense with Ealing. In 2009 he began coaching with both Wasps and Wales U20s. In 2012 he left England to coach Backs and Defense for the RICOH Black Rams. Upon emigrating to the United States he has coached with Stanford University, the San Diego Breakers, and the USA Eagles. Most recently he's served on the Institute of Rugby Staff as the High Performance Coach and Director of the Tackle Ready program. SD Legion | Introducing Head Coach Rob Hoadley from Paradeigm on Vimeo. 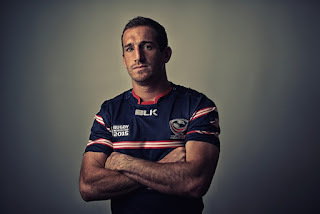 Zack Test, USA Eagle #462, Zack was a long time USA Eagles 7s and 15s player until last winter when he suffered a brain injury against Uruguay in San Antonio, Texas, during the 2017 Americas Rugby Championship. He was a member of the 2013 RWC 7s Eagles Squad, 2015 RWC Eagles Squad and 2016 USA Eagles Olympic 7s squad. Since recovering Zack began coaching with the Southern California Griffins, the All-Star Select side for Southern California Youth Rugby, under Head Coach Matt Hawkins. He also served as the Head Coach for USA Maccabi XVs winning the Gold Medal this past summer in the 2017 Maccabiah Games. In addition to serving as a High Performance Coach at the Institute of Rugby, Zack is the San Diego State Aztecs 7s Head Coach. Chris Cracknell, like Head Coach Rob Hoadley, also had a long professional career in England playin gin both the Aviva Premiership and RFU Championship. Chris played for: Harlequins, Cornish Pirates, Exeter, Bath, and Worcester. He was the first fully contracted England 7s player. He began coaching with Maidenhead RFC while juggling being a full-time 7s player on the HSBC Series in 2010. He would add to his coaching duties serving as an assistant with England Women 7s in 2011 and would go coach them during the Moscow World Cup in 2013. Talk about an interesting career start. Chris retired from international duty in 2014 and would be hired by Ben Ryan as an assistant to Fiji 7s. In addition to serving as an assistant to Ryan on the 2016 Olympic Gold Medal Staff, he also served as the Fiji Director of Women's Rugby. 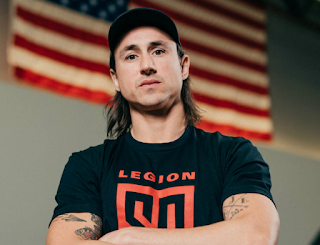 The staff appointment shows that the San Diego Legion took a long look at identifying both coaching talent and the ability to retain the staff long term. Can't wait to see what they put together with the great performances their Eagles Players have put on the pitch during the 2018 Americas Rugby Championship.